This is an election year and if you believe all the hype, Democrats are energized and Republicans are either demoralized or not paying attention. As a political junkie who swore off politics, following the 2016 Presidential elections, I couldn’t help but be drawn into the drama last month surrounding the Pennsylvania 18th-district special election won by the conservative Democrat, Conor Lamb (don’t call it a “lamb slide”). Many have attributed Trump’s unfavorable ratings to self-inflicted wounds, ranging from foreign policy gaffes to a revolving door at 1600 Pennsylvania Avenue, but nothing has been more destructive to the sitting President’s credibility than the special counsel investigation looking into Russian meddling in our elections and the possibility of collusion. For the record, I don’t think Trump or his minions ever knowingly colluded with Russians, but I wouldn’t put it out of the realm of possibility that they’ve been ‘played’ by Russians and I wouldn’t be surprised if Robert Mueller found that Trump and those surrounding him were unwittingly aiding Russians who were intent in discrediting institutions that are the foundation of our democracy. While political neophytes may be tired of all the reporting on the special counsel investigation, these remain early days. To put this in perspective, the Watergate investigation lasted for two years and resulted in 5 people pleading “guilty”. Mueller started work in the middle of May last year. 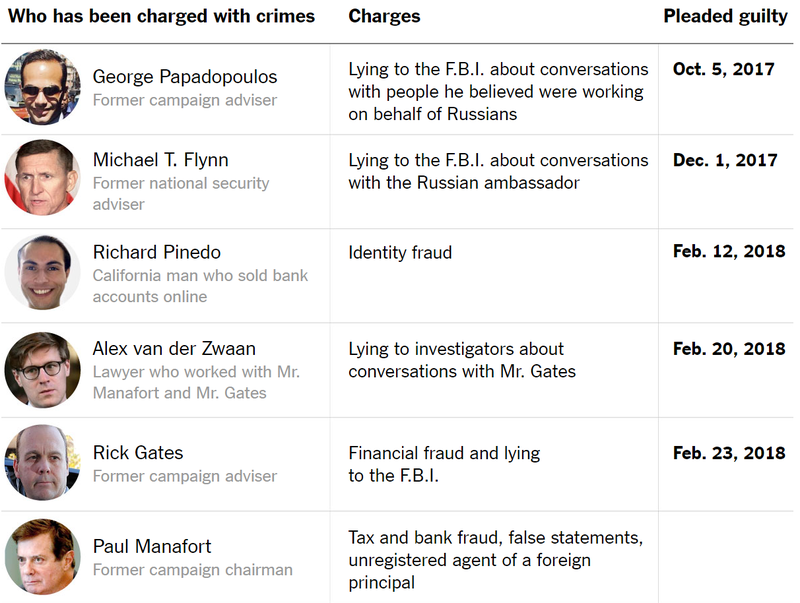 That means his team has identified as many guilty pleas as Watergate in only 9-months. In the world of politics that is moving at warp speed, and the longer this goes on the worse it appears to get for Donald Trump. I never thought I’d live to see the day when the Republican Party would cede its credibility with foreign policy and defense (let alone fiscal conservatism). If you ever told me that the Democratic Party was going to be holding the Republican Party accountable for colluding with an authoritarian leader from Russia, I would have wondered if you had lost your mind, but then again, I think that is the only way to explain Donald Trump’s election; either Russia tipped the scale or we as a nation have collectively lost our mind. Very well articulated article and I could not agree with you more. These are indeed unprecedented times we are living in. Just when I think I have a clue, something throws me off track. It is so hard to keep up with the lies, scandals, and damage coming out of this White House. 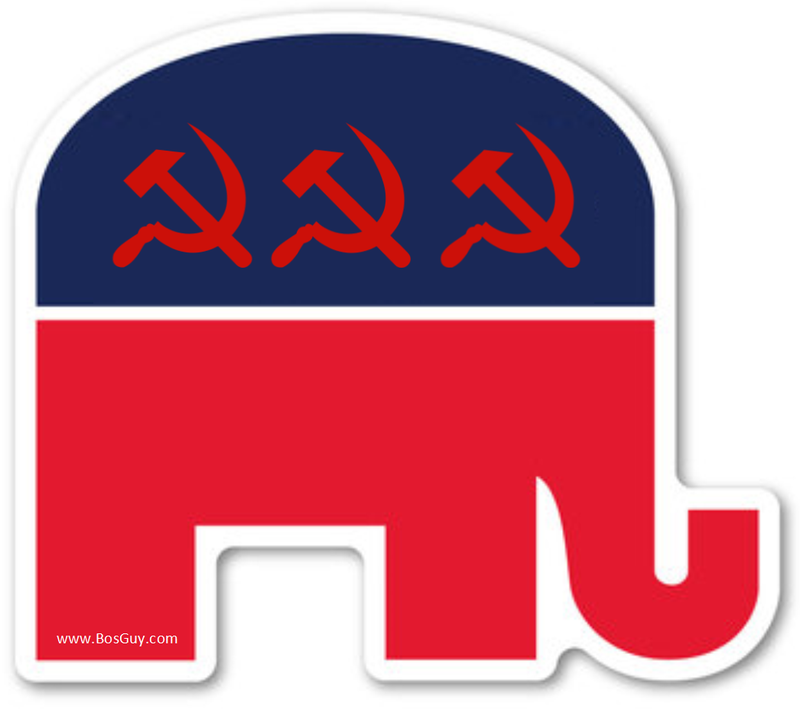 I’m sorry, never have liked the Republican Party since Richard Nixon. They have always been for the rich man and never for the poor, and their trickle down economy was always a lie.